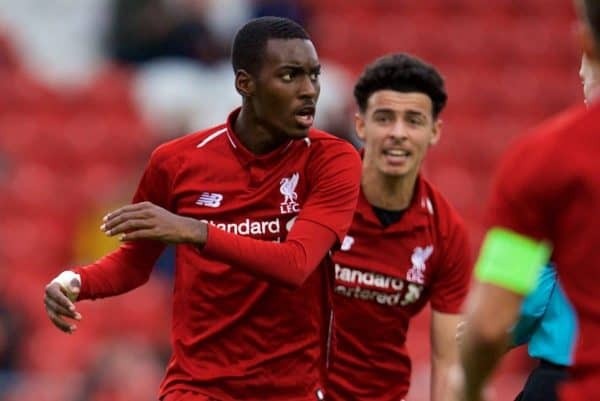 Despite clear opportunities in the first team at Liverpool, Rafa Camacho appears set on leaving the club, and his latest Instagram post has fuelled speculation. Camacho has been a regular part of the senior squad since February of last year, and has both trained on a consistent basis at Melwood and travelled for games, home and away. The Portuguese has been named in the matchday 18 on nine occasions this season, made his first start in the 2-1 loss to Wolves in the FA Cup in January and then, 12 days later, his Premier League debut against Crystal Palace. Both outings came at right-back, but he has remained in his natural role when turning out for the club’s U19s and U23s, shining for the latter on Sunday. Deployed on the right flank, Camacho scored a hat-trick in 21 second-half minutes at the King Power as Liverpool ran out 6-0 victors over Leicester. Though his second of the afternoon was contentious, tapping in on the line to deny Rhian Brewster a brace of his own, it was undeniably an excellent performance from the 18-year-old. This only adds to the disappointment that he could leave at the end of the campaign, according to Sky Sports, when they claim his contract with Liverpool expires. It could be that this message is in jest, and Brewster himself responded with a string of laughing emojis, but this still seems unlikely. In January, Klopp vetoed a proposed loan move for the youngster back to Sporting CP, in a deal which was reported to have included an option for a permanent switch, with the manager insisting he would play a part. Given he is just 18, Camacho has featured fairly prominently in the squad at least, particularly when compared to his academy counterpart Curtis Jones. But if this is how he is to express his concerns over his role under the manager, his days at Anfield could certainly be numbered—as they paint a stark contrast to Jordan Henderson‘s recent comments on moving back to the No. 8. However, a report from Goal‘s Neil Jones earlier in April has suggested his contract could run longer than the end of June. 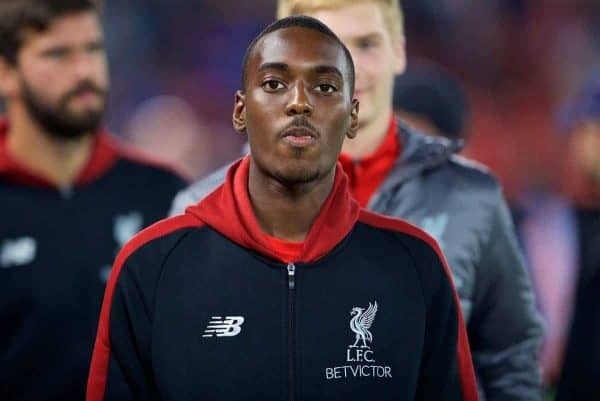 Jones claimed Wolves, Sporting CP, RB Leipzig and Benfica had all expressed interest in Camacho, with Liverpool seeking a fee of £10 million, which would not be possible were his deal to expire.